At long last, our Roadmap has been updated! We are already hard at work on many of the things we need, but the thing we’ll need the most is out of our hands: Feedback and bug reports. You are both the secret weapon and the secret ingredient. Here’s the plan so far. In June, after a patch or two, we will move into what we are calling “Open Beta.” We will be at a point where we need to start addressing the issues we can only find with lots of people. What this means in practice is that we’ll start handing out free trial keys very freely. I especially want to hear from guilds and guild masters in order to do some large group testing before the real free for all begins. July marks the Final Wipe for Legends of Aria and our Early Access Launch. Kickstarters and Founders will begin their one week headstart and the land rush will begin. 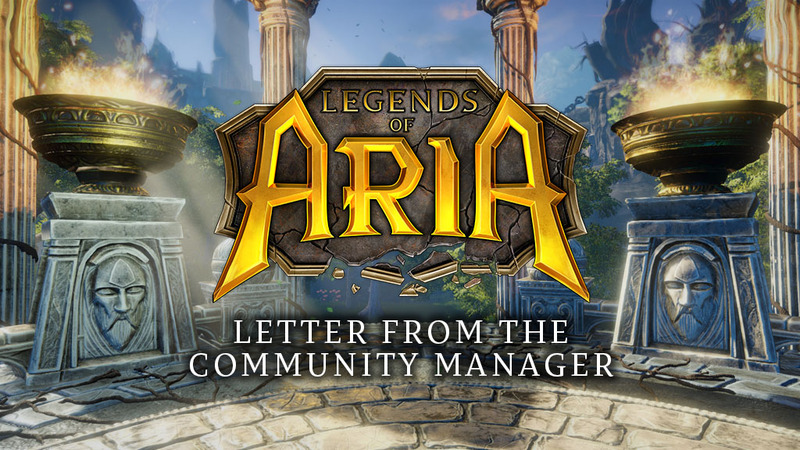 Early Access will not be available on the Steam platform; No MMO is ever finished and they certainly experience growing pains – we expect balance issues and bugs, and probably a rollback or two (meaning we reset the game to a point a few hours in the past to undo the effects of a major problem), but it will be time to start building the living world that is Aria. And time to start giving out the some of the various rewards for our Kickstarter and Founder’s Pack friends, who made this whole thing possible. Furniture, pets, titles, and virtual clothes are first out of the gate; more information on each reward to come as we get them out the door. You’ll notice that what isn’t on the roadmap is the Steam launch or the big marketing push. That’s because it all depends on what the spring and summer bring. Our target is still this autumn. We only get one shot at going live on Steam, and we need to make sure the game is ready for an audience that has never heard of us. That’s not to say new community server administrators won’t be able to join the game until autumn. We’re talking about ways to ease in a few new faces, but that won’t be until after we can upgrade the tools to make the magic happen. Very nice to read. Is it planned to give a char transfer option to the people who, e.g. do not live in the US and then switch to a Europa server? All hope in the summer and autumn !! =) Keep it up! any chance of getting more pre-release goodies? Ja make the launch the best possible, you have 1 chance make it count! There is still a lot of work that needs doing.